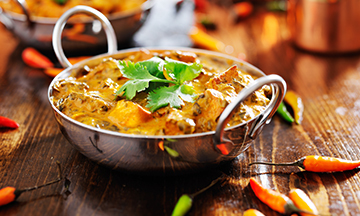 Green Chilli sizzling is an Indian takeaway located at 2A Cleveland Street, Kempston, MK42 8DN, where we provide our customer an excellence service with great quality food. We are very proud to offer this fantastic online ordering website, its simple and easy to use. You can even pay online and get your favourite food delivered in no time to your home in Kempston. You will be able to get up to date prices and special offers online. Thank you for visiting Green Chilli in Kempston. We hope you enjoy our online ordering website and your food. We offer a fully integrated online takeaway ordering facility with secure payment for your convenience along with a free home delivery service. Great food, brought to our door in very good time and piping hot. Well done! This is why we order from you guys so regularly! Cheers. Absolutely amazing food. Service was fantastic and delivered on time. Will be definitely ordering from here again. Outstanding. Food was delicious with good portion sizes and ready quickly, really cant complain. Great food and great service yet again from Green Chilli. My last five Indian meals have all been from these guys and they have all been great!